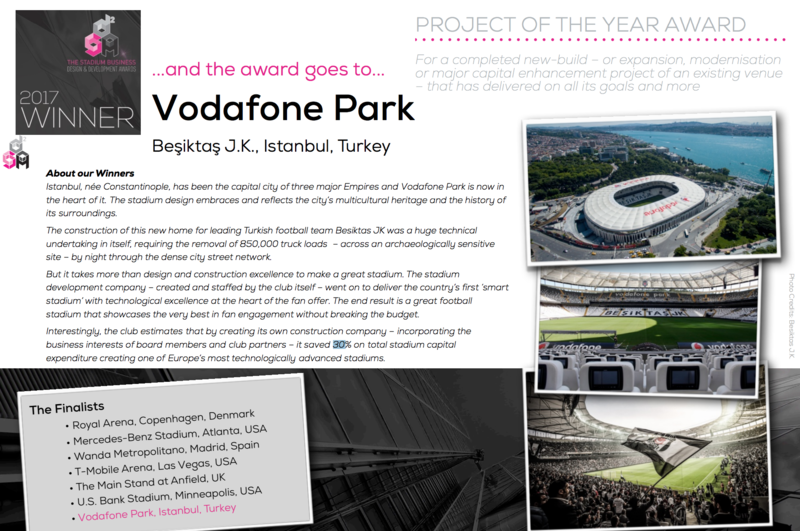 The Besiktas Vodafone Park Stadium has pocked up the ‘Project of the Year Award’ at TheStadiumBusiness Design & Development Summit 2017 (28-29 Nov, Barcelona). The awards were launched in 2010 to recognise leadership, innovation and achievement in the design, development, construction and refurbishment of major sports venue facilities globally. Besiktas were up against the following stadiums. The Vodafone Park managed to pip the likes of Anfield, Wanda Metropolitano – where the event was held – and the T-Mobile Arena, Las Vegas for the main prize. 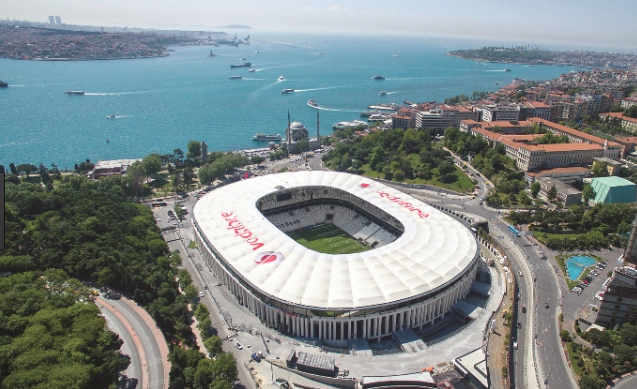 The 41,903 seater Vodafone Park stadium is situated just a stones throw from the Bosphorus next to the Dolmabahce stadium. The stadium will replace the old İnönü and is being constructed on the same land as the previous venue. The distance between the pitch and the stands is just 6.15 metres and it was the first environmentally friendly stadium in Turkey. Besiktas are undefeated in their new home having gone 33 games without losing. The reigning Super Lig champions have won 26, drawn seven, scored 79 and conceded 24 times at the Vodafone Park.